In late 1941, the Australian aviation industry took stock of its resources and worked to create an indigenous fighter aircraft to defend against the Japanese. The result of this effort was the Commonwealth Aircraft Corporation (CAC) CA-12, CA-13, and CA-19 Boomerang fighters. In many respects, the Boomerang was an outgrowth of the CAC Wirraway general use aircraft. The Wirraway itself was a modified, licensed production version of the North American NA-16 (also referred to as NA-33) trainer. With a low top speed and poor altitude performance, the very maneuverable and rugged Boomerang found itself excelling in the ground attack role. In late 1942, The Australian War Cabinet and CAC sought to improve the Boomerang’s altitude performance by adding a turbosupercharger. This new aircraft was designated CA-14. 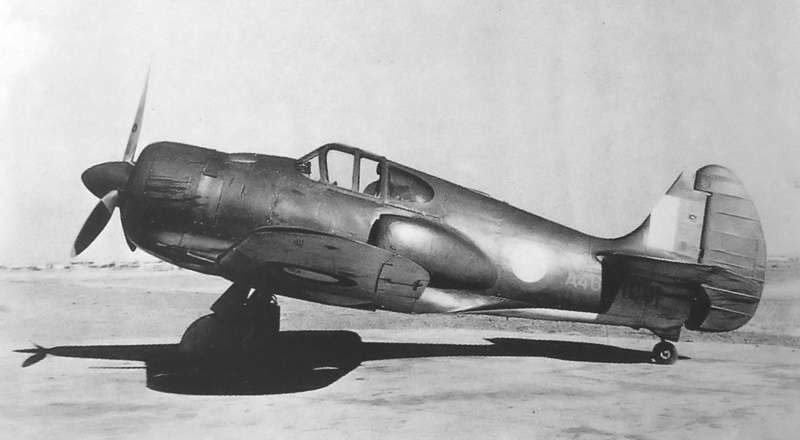 At first glance, the CAC CA-14 looks like a standard Boomerang fighter, but the aircraft’s unique turbosupercharger scoop can be seen on the side of the fuselage. Less noticeable modifications from a standard Boomerang include a new wing root fairing and a slightly enlarged tail. The CA-14 was a standard CA-13 Boomerang that had been heavily modified to accommodate a turbosupercharger. 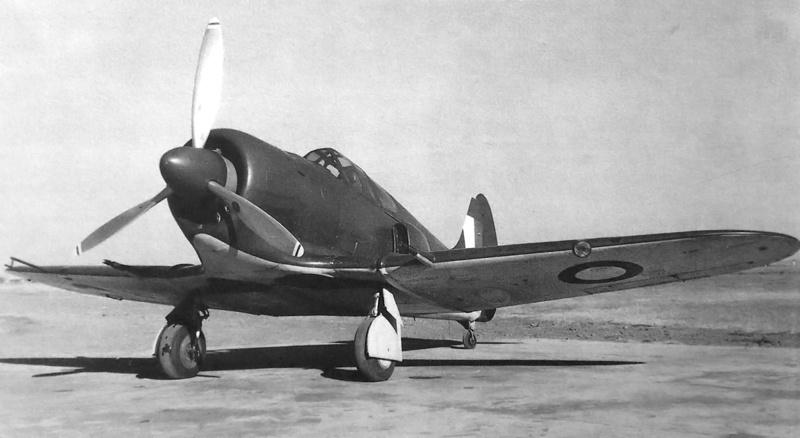 Like all CA-13 Boomerangs, the CA-14 had a 1,200 hp (895 kW) Pratt & Whitney (P&W) R-1830 engine. The fuselage was built with a steel tube frame, and the wings and tail were built up from aluminum components. The wings housed four .303 machine guns and two 20 mm cannons. The tail, cowling, lower part of the fuselage, and in front of the cockpit were skinned with aluminum. All tail control surfaces were fabric-covered, and the ailerons were aluminum-skinned. Unlike a normal Boomerang, the CA-14 had a new cowling that omitted the air intake scoop positioned above the engine on a standard Boomerang. A large scoop was added on the left side of the fuselage, next to the cockpit, and provided intake air for the engine and air for the turbosupercharger’s intercooler. Air exited the intercooler via an adjustable flap located on the right side of the upper fuselage, just behind the cockpit. The engine’s exhaust pipe was extended back along the right side of the fuselage to the turbosupercharger installed behind the cockpit. The General Electric (GE) B-2 turbosupercharger was from a Consolidated B-24 Liberator, and the Harrison intercooler was from a Boeing B-17 Flying Fortress; these parts were chosen because they were available, not because they were ideal. The fuselage was skinned with aluminum to just behind the turbosupercharger. Farther aft, the fuselage was wood-covered. A new, more streamlined fairing was installed on the wing’s leading edge. The fairing ran from the wing root to the fuselage, over the main gear wheel bays. The CA-14’s vertical stabilizer was slightly enlarged, and it used an 11 ft (3.35 m), three-blade, Curtiss propeller. The CA-14’s large scoop can be seen in this view. The scoop created turbulence that interfered with the aircraft’s tail. Pilot visibility was improved over the standard Boomerang by removing the engine intake scoop on the upper cowling. The CA-14 was assigned serial number A46-1001 and first flew on 13 January 1943 piloted by Flt. Lt. John Holden. Its performance was on par with a standard Boomerang below 10,000 ft (3,048 m) but was superior above that altitude. At 28,000 ft (8,534 m), the CA-14 had a top speed of 354 mph (570 km/h) and a 1,400 fpm (7.1 m/s) rate of climb, while the standard Boomerang was 76 mph (122 km/h) slower at 278 mph (447 km/h) and could only climb at 450 fpm (2.3 m/s). The CA-14 had a 2,150 fpm (10.9 m/s) initial rate of climb and a ceiling of 36,000 ft (10,973 m), which was 2,000 ft (610 m) higher than a standard Boomerang’s ceiling. The CA-14 had the same 36 ft (10.97 m) wingspan and 25.5 ft (7.77 m) length as the Boomerang; however, it was some 400 lb (180 kg) heavier, at 8,095 lb (3,672 kg). The aircraft had a range of 930 miles (1,497 km). Flight testing revealed directional instability and cooling issues with engine and turbosupercharger. The large scoop mounted on the side of the fuselage created turbulent air which interfered with the aircraft’s tail and caused some instability and buffeting. Starting in May 1943, the CA-14 was reworked to solve its issues and was redesignated CA-14A. Changes included adding a new, larger vertical stabilizer with an aluminum-skinned rudder and deleting the scoop from the aircraft’s fuselage. The engine cowling was reworked to provide better cooling, and a geared (3 to 1), 10-blade cooling fan was added behind the spinner. Air for the engine and intercooler was taken from the high-pressure area behind the cooling fan and internally ducted in the left side of the fuselage back to the turbosupercharger. A GE B-13 turbosupercharger and an AiResearch intercooler replaced the original units. The CA-14A was fitted with a three-blade Hamilton Standard or de Havilland propeller (sources disagree on which, but perhaps both propellers were tested), and its guns were removed. First flown around 26 July 1943, the CA-14A most likely achieved better performance than the CA-14; however, specifics have not been found. Sources indicate the CA-14A’s ceiling was in excess of 40,000 ft (12,192 m). 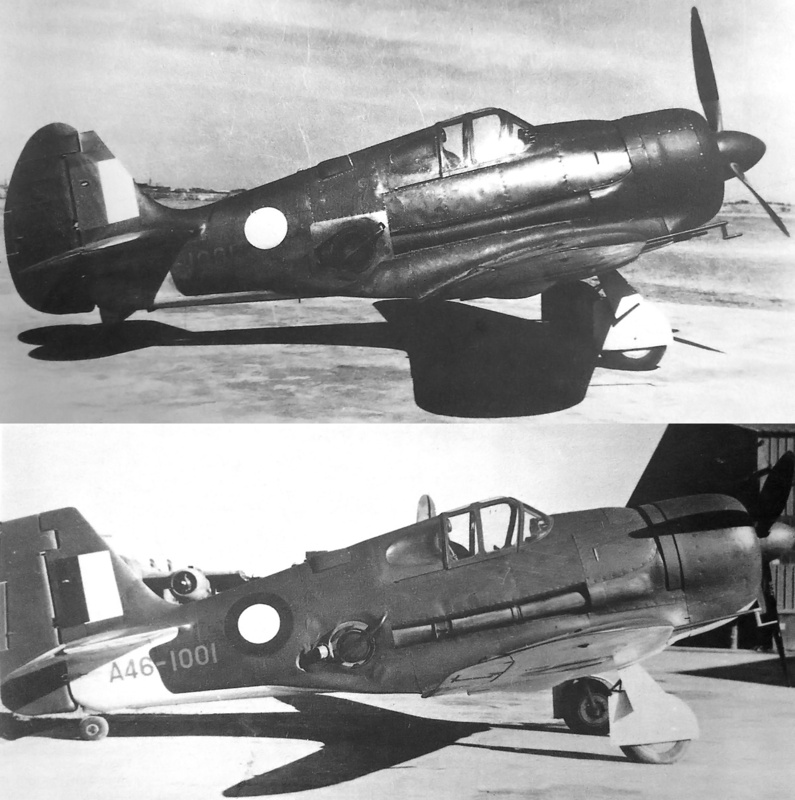 A comparison of the CA-14 (top) and CA-14A (bottom), with its revised tail and cowling. The exit flap for the intercooler can bee seen in the upper fuselage, just behind the cockpit. The installation of the supercharger and its required accessories in the Boomerang’s small airframe was an impressive feat of engineering. The ultimate goal of improving the Boomerang was to install a 1,450 hp (1,081 kW) P&W R-2000 engine and GE B-9 turbosupercharger in the aircraft. Originally, these changes were to be incorporated when the aircraft was rebuilt as the CA-14A. However, the United States was very reluctant to provide a license for supercharger production, and CAC’s production of licensed R-2000 engines encountered technical setbacks. The estimated speed of an R-2000-powered Boomerang was 286 mph (460 km/h) at sea level and 372 mph (599 km/h) at 27,000 ft (8,230 m). The aircraft’s rate of climb at sea level was 2,100 fpm (10.7 m/s) and 1,770 fpm (9.0 m/s) at 30,000 ft (9,144 m). Based on the known performance of the CA-14 and the estimated performance of the R-2000-powered Boomerang, the Minister for Aircraft Production recommended that 120 R-2000-powered fighters be ordered. However, the Australian War Cabinet approved only 50 aircraft. With such a short production run, it was not worth the inevitable delays and required resources to upgrade Boomerang production to a new standard, especially with better performing fighters from the United States and Britain already arriving in Australia. 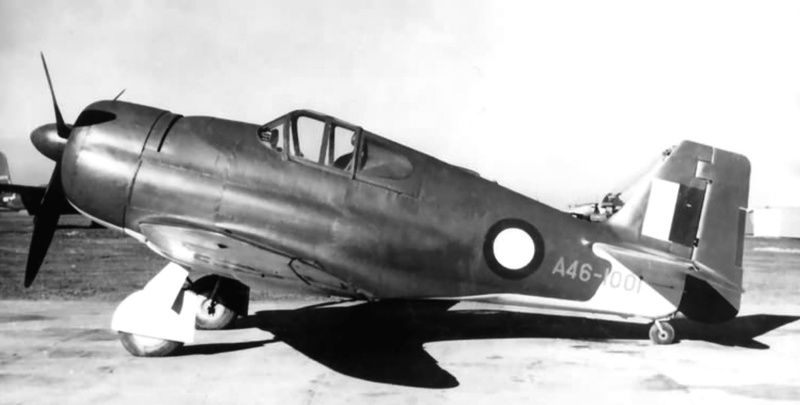 As a result, the 50 aircraft were completed as CA-19 Boomerangs, which differed little from the CA-13s and CA-12s. This view of the CA-14A displays its 10-blade engine cooling fan as well as its lack of armament. Undoubtedly, the aircraft’s performance was much improved, but its usefulness was in question since superior British and American aircraft were available in Australia. Note the Republic P-47 Thunderbolts in the background. While the A46-1001 airframe was being designed and tested with its turbosupercharger, CAC looked to take the next step to enhance performance by fitting a 1,700 hp (1,268 kW) Wright R-2600 engine to an even more modified Boomerang. 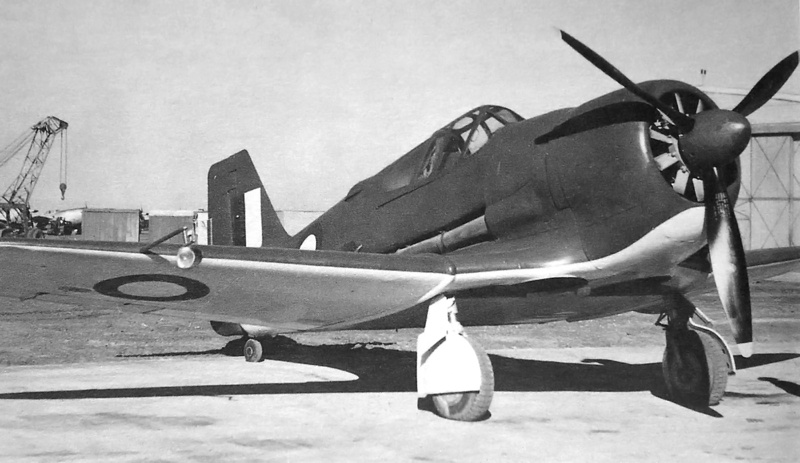 However, the availability of R-2600 engines to Australia was in question, and modifications to the Boomerang airframe would be substantial. It was deemed more practical to start development of a new aircraft with a 2,000 hp (1,491 kW) P&W R-2800 engine. Designated CA-15, this new aircraft would eventually fly, but with a Rolls-Royce Griffon V-12 engine and little resemblance to its initial design heritage. The obsolete CA-14A continued to undergo flight testing and was used for high altitude weather observations, regularly flying at 40,000 ft (12,192 m). It was removed from service in 1946 and scrapped in 1947 (some sources say March 1949). Note: The B-13 turbosupercharger was interchangeable with the B-2. Several sources state that CAC intended to install a B-9 turbosupercharger in the CA-14/A aircraft, but no GE references to a B-9 turbosupercharger have been found. Perhaps “B-9” was a typo or was a designation given to a licensed production or export model (like “B-10” for turbosuperchargers supplied to Britain). This entry was posted in Aircraft, World War II on 24 April 2016 by William Pearce. As an Australian, I am familiar with the Boomerang, but there are probably a few non-Australians who were unaware of the plane’s existence. Thank you for highlighting one of the lesser-known aircraft of World War 2. I am very glad you liked the article. It was a neat plane and, along with the CA-15 and a number of other aircraft, something Australia should be proud of. Another interesting article. An ingenious creation in the face of the Japanese forces. I would hate to have flown it against a Zero, though. A parallel American attempt at upgrade was the turbosupercharged Wildcat (-5 as I recall). Rather than a superWildcat, the US fought using a lot of very effective Hellcats and Wright powered Wildcats (along with Corsairs). But it is interesting to think that 1500 hp with turbo and perhaps superoctane fuel and anti-detonation would have been a reasonably effective carrier fighter into 1945.